ROCCAT offers 3D-print add-ons for the ROCCAT SOVA gaming lapboard which includes smartphone and tablet holder which is compatible to 99% of devices available in the market today. The ROCCAT SOVA is the perfect partner for gamers that prefer gaming on their living room couch. The ROCCAT SOVA offers a comfortable and ergonomic space for your gaming keyboard and mouse. Having a four-meter long cable extension and exchangeable mousepad, you can have the comforts of your living room experience as well as the gaming experience of using a desktop PC. Today, ROCCAT aims to further improve the SOVA gaming lapboard by the introduction of additional 3D-printed components into the SOVA. 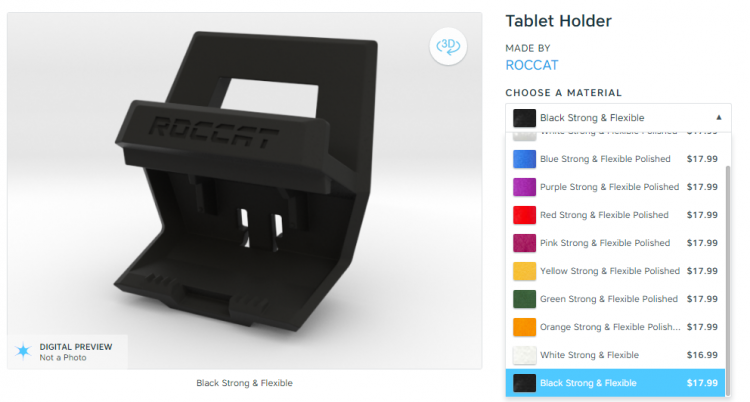 ROCCAT adds 3D-printable smartphone and tablet holder which is said to be compatible with 99% of all current devices in the market today. ROCCAT ensured mobile devices can stay safe and secured in the 3D-printed add-ons so the holders will have an option to have rubber bands added to be used to firmly hold your mobile device in place. The Tablet holder 3d-print add-on has an MSRP of $17.99 and is offered in different colours and material combination. The Smartphone holder has an MSRP of $26.99 which is also offered in different colours and material combination. 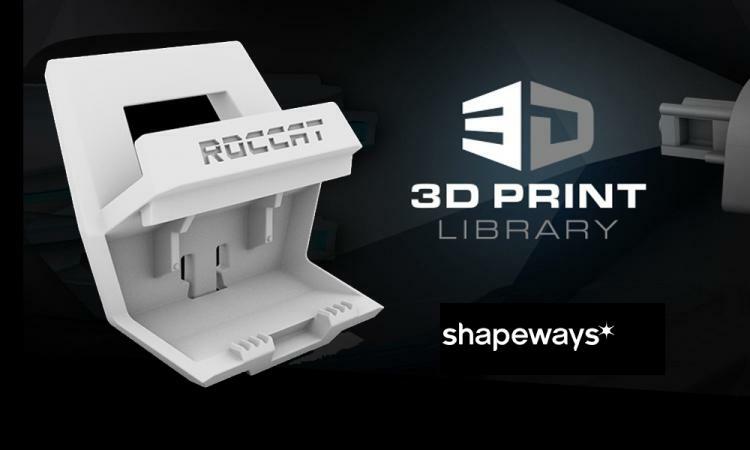 Both the smartphone holder and tablet holder 3D-print add-ons can be found at the ROCCAT online shop and at Shapeways.